You can bcc emails to Productive and assign them to deals and budgets so you never lose track of what was going on with the client. If you want to use this feature, you need to turn it on in the Settings. Step 1: Go to your profile and select Settings. Step 2: Select Addons from the menu on the left. 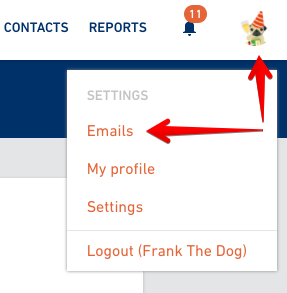 After you've turned it on, click once again on your profile and Emails option will show up. Use the e-mail address shown here. Every mail you bcc or forward to this address will show up here and you'll be able to assign it to a deal or a budget. You'll need to go to your profile and add the additional e-mail address. E-mails sent to Productive will be shown here. If you don't want to keep it here, click on the menu and select Dismiss or Delete. Dismiss will remove it from the list of unassigned e-mails, but it won't delete it completely. It will still be shown in the Contact's details. Delete option will delete the e-mail completely from Productive. 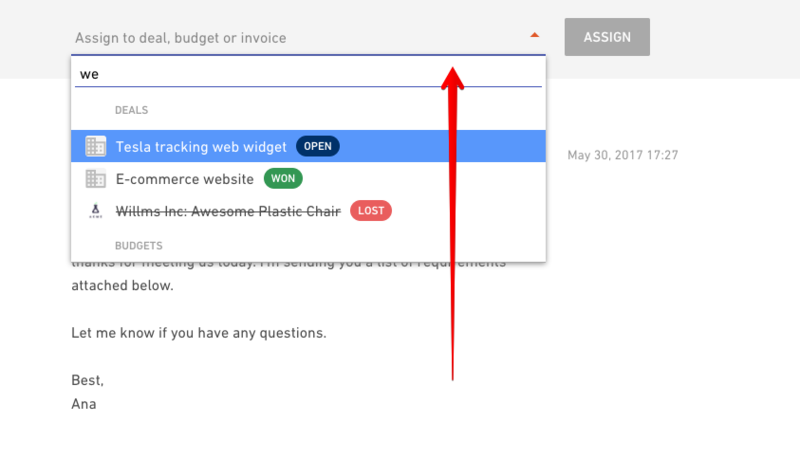 If you want to file it, click on the dropdown menu and select a deal, budget or invoice you want to assign this e-mail to. If an e-mail is a part of a conversation that was previously filed to Productive, it will be auto filed to the same deal/budget/invoice as all the e-mails before. You'll get a notification saying that this e-mail was filed to a deal or a budget. You can always go to a deal/budget/invoice and assign the e-mail to something else. You'll find all the e-mails in the activity feed. 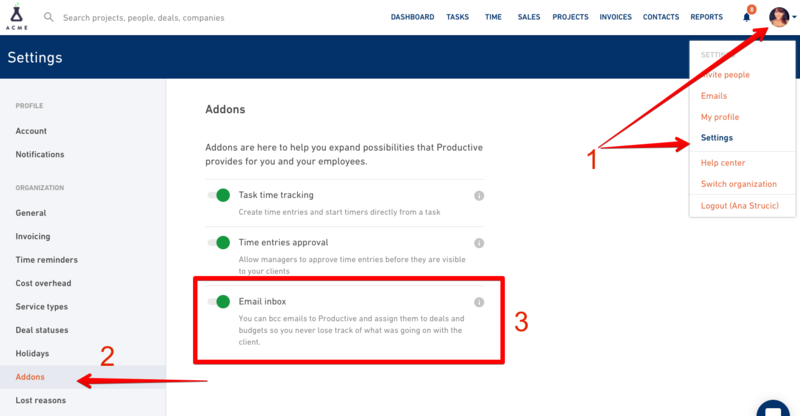 Hover on the right side of the activity feed and select an option for re-assigning e-mails. You can also dismiss it or delete it completely.